Kenya is a country in East Africa,lying along the Indian Ocean. Lake Victoria is situated to the southwest, and is shared with Uganda and Tanzania. With its capital city in Nairobi, Kenya has numerous wildlife reserves containing thousands of animal species. Map of Kenya (Small Overview Map). Map of Kenya (Overview Map). Map of Kenya (Political Map). Map of Kenya (Relief Map). 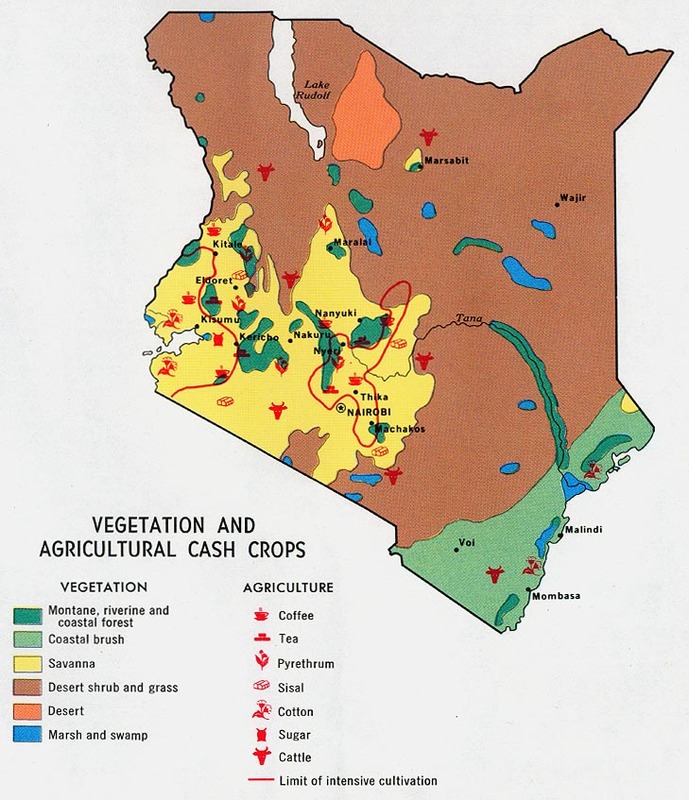 Map of Kenya (Topographic Map). Map of Kenya (Satellite Picture).